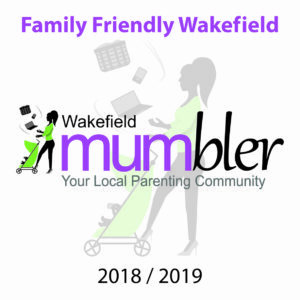 At Wakefield Mumbler we take the opinions and experiences of local families seriously. We have worked with members of our Facebook Chat Group to determine key criteria that they expect certain businesses to meet if they are going to be considered Family Friendly. For a list of current Family Friendly Wakefield businesses click here. To apply or recommend a business, please check the criteria below and complete the short application form here. Ultimately we are proud of our brand and want to use it to help families make the most of their money and time together. Families will know that a business comes recommended by Wakefield Mumblers if they are displaying a current Family Friendly Wakefield window sticker or digital logo. These criteria are subject to change at any time, any future changes will not affect current Family Friendly Wakefield Businesses but will be used to determine new members. You’ll see when we last updated the criteria as there will be a reviewed on date. Wakefield Mumbler makes the final decisions on which businesses are accepted to be known as Family Friendly Wakefield Businesses. If we receive repeated and justifiable complaints about one of our Family Friendly Wakefield businesses the complaints will be anonymised and passed on to the business to allow them the opportunity to improve. Should Wakefield Mumbler believe that the business has not made an effort to rectify any issues, Family Friendly Wakefield status will be removed. The business will be asked to remove their window sticker and any digital use of the Family Friendly Wakefield logo, both of which remain the property of Wakefield Mumbler. Be recommended by Wakefield Mumbler or at least two Wakefield Mumblers either in our chat group or through the Family friendly Wakefield Application Form. Stocked with a few spare essentials, with a toilet in the changing area! Child-sized portions of adult menu/special requests. Properly portioned for age groups. Must have a regular schedule of local family events. Must be recommended by Wakefield Mumbler or at least two Wakefield Mumblers either in our chat group or through the Family friendly Wakefield Application Form. If an onsite cafe/ restaurant is owned and operated by the same owner, they must meet the eating out criteria too. A toy/book basket if your service involves a lot of waiting! Space to navigate a standard pushchair. Free access to a loo (if you have one) for young children and pregnant women.